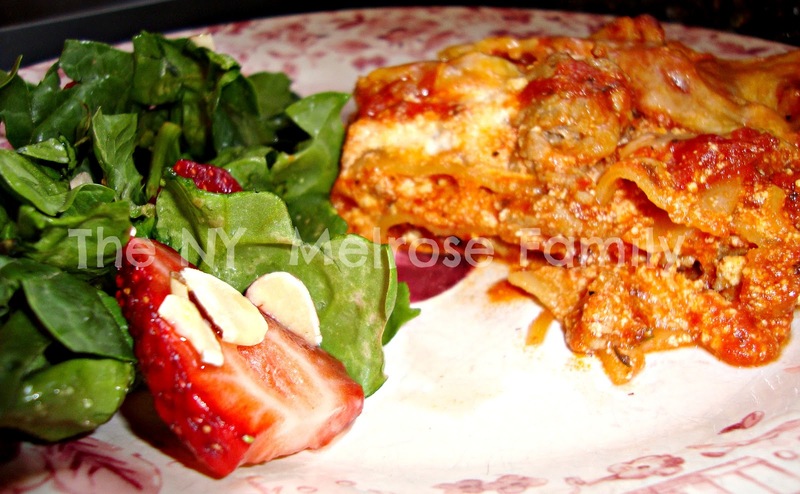 A definite go to meal in our house is lasagna. I made it the other night with The Easiest Strawberry Spinach Salad from Freshly Completed by Allie and it was fabulous! Start out by cooking ground turkey in a pan with minimal extra virgin olive oil. 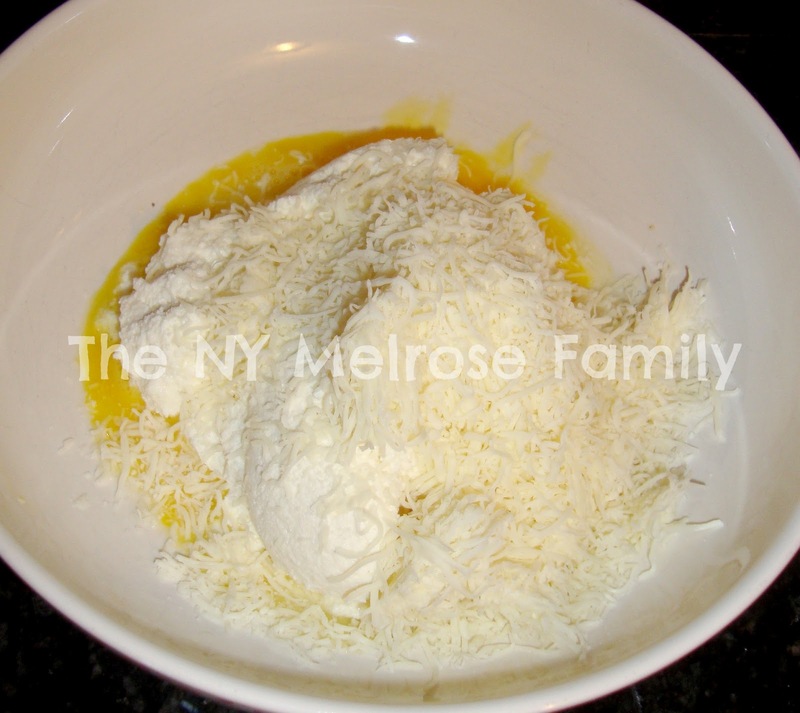 While the meat is browning, mix together 1 egg, 3 cups of ricotta cheese and 1 1/2 cups of mozzarella cheese. 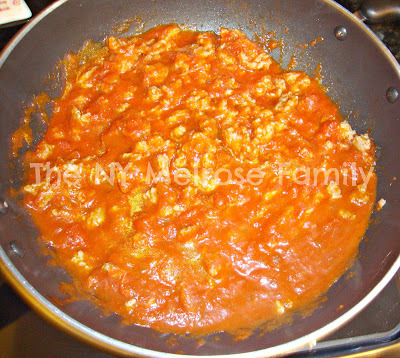 Once the meat has browned add in 48 ounces of spaghetti sauce. I know how to make my mom’s spaghetti sauce, but it’s so much easier to use the jarred stuff. We prefer Ragu’s Parmesan & Romano. Let this cook through. 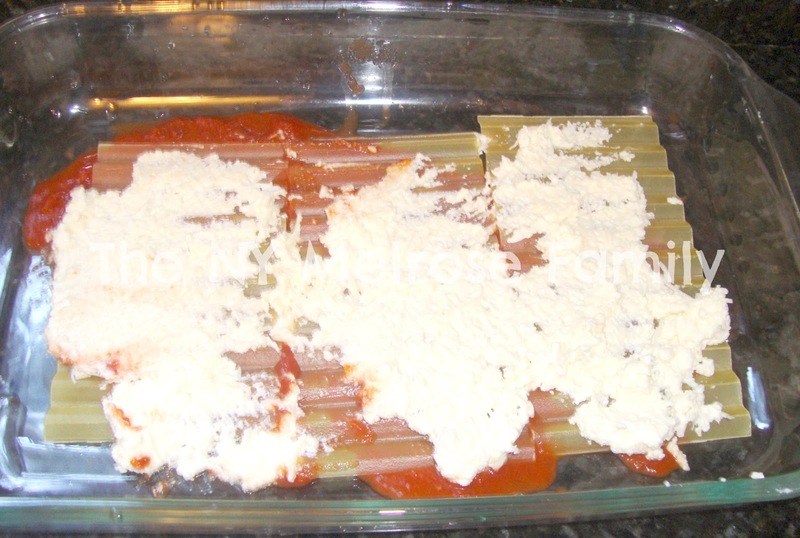 To start out you want to put a thin layer of sauce on the bottom of the 9 X 13 baking dish. 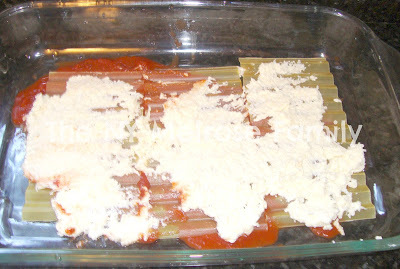 Then place a layer of no boil lasagna noodles (if you prefer you can use lasagna noodles that need to be boiled and it will make your lasagna thicker). On top of the noodles spread the cheese mixture. Next you’ll put the meat and sauce mixture on top of the cheese and continue the layers until you’ve used nine lasagna noodles or three layers of noodles. 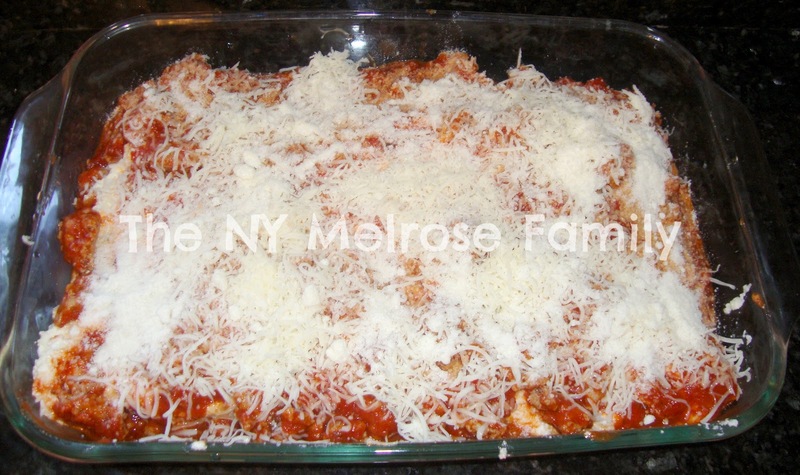 For the final cheese layer, sprinkle with the remaining 1/2 cup of mozzarella cheese and add Parmesan as a topper. Bake for 30 minutes at 400 degrees Fahrenheit. We like our lasagna with a touch of golden brown goodness. This looks so good! Seems easy to make too. My daughter would love this. I could just dive into your lasagna right now. Yum! Your dinner looks yummy I love comfort food, I just discovered your blog 🙂 stop by for a blog visit! Thanks for the invite to follow – I will look forward to your linky party! Looks good! We just tried the no boil noodles and they were sooooo easy!! That sounds delicious! I am following you back and I look forward to getting to know you! oh yum….looks and sounds fabulous!! Thanks for stopping by my blog! Came back to follow you! Looking forward to your fun posts! Thank you so much for popping by ModaMama! 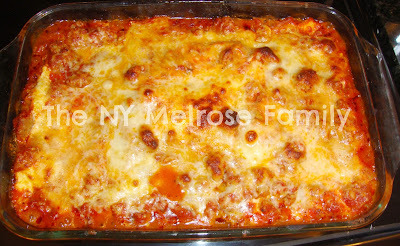 That lasagna looks so delicious…if only I wasn't lactose intolerant 🙁 Boo. p.s. I use bloglovin to follow. Thanks! Oh, I would love to be sitting at your table for dinner. Foods looks yummy. This all looks soo good! I've never tried a strawberry salad before, but it sounds like it would be extra tasty:) I just may have to try it! Just reading and seeing the pics made me want some. Oh my goodness, strawberry salad is my all-time favorite!! 🙂 What a delicious combination with the lasagna! Thanks for sharing at oopsey daisy! Excellent so glad you made the salad. Easy and Yummy, right? I am a huge lasagna fan and yours looks so tasty. Thanks for sharing at our party this week. 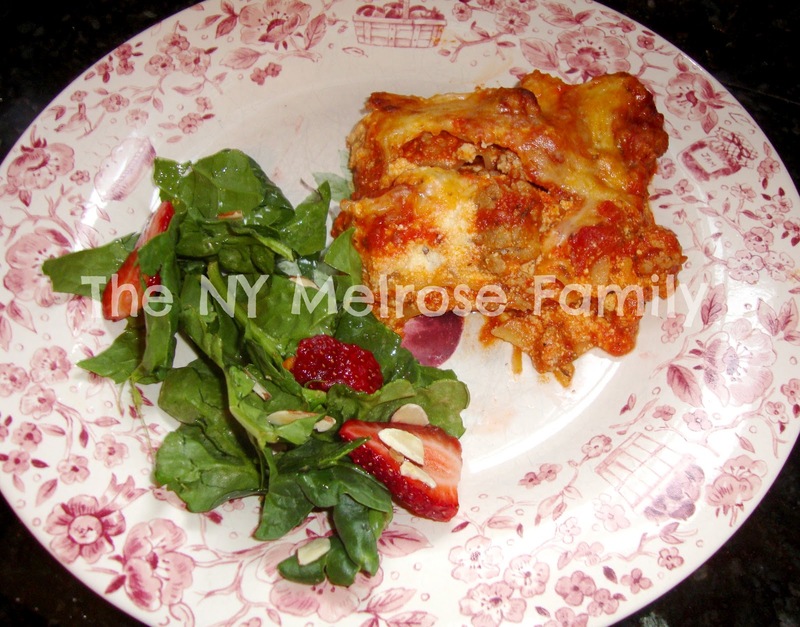 we love lasagna in our house too! I even got my daughter making my recipe 🙂 Yours looks yummy, we also like a golden brown top. Thanks for sharing with us on at the Lovely Things Thursday Linky Party. Already following you in all the locations I can. Stop by and enter in a couple of giveaways I currently have going on. This looks so tasty and don't you just love the no-cook noodles. Makes lasagna so much easier. Thanks for sharing on Tout It Tuesday. One of my all time favorites, I love Lasagna. I need to remember not to read your food related posts this early in the morning before breakfast. Now my tummy is going crazy! I simply want to tell you that I am beginner to weblog and truly enjoyed you’re website. More than likely I’m want to bookmark your website . You definitely have very good well written articles. Kudos for revealing your website.